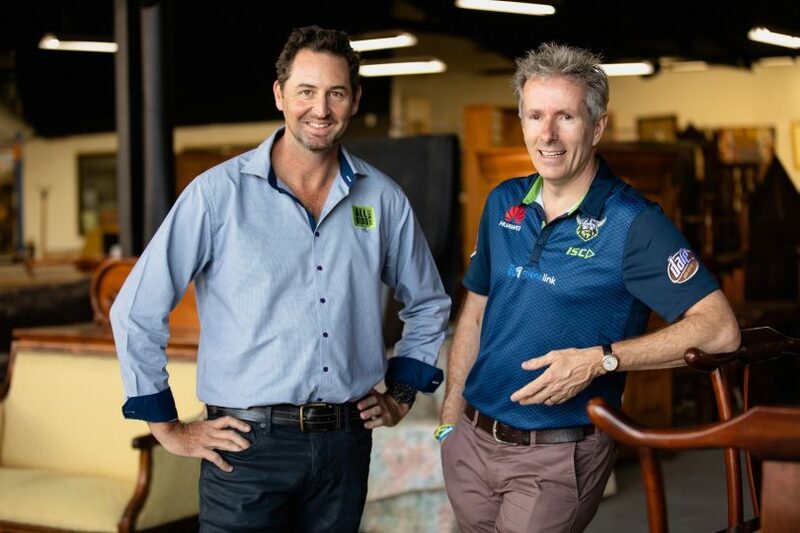 Over 100 items are up for auction on ALLBIDS, generously donated by local individuals and businesses to support Menslink. On Friday 29 March, business leaders, influencers, media and avid supporters will come together at Hotel Realm to support the Menslink Big Night Out. Now in its third year, the annual event has become a crucial part of Menslink’s fundraising calendar, with monies raised going directly to support the important work Menslink do. According to Menslink CEO, Martin Fisk, the Big Night Out, fortunately (and unfortunately for those who missed out!) sold out weeks ago. 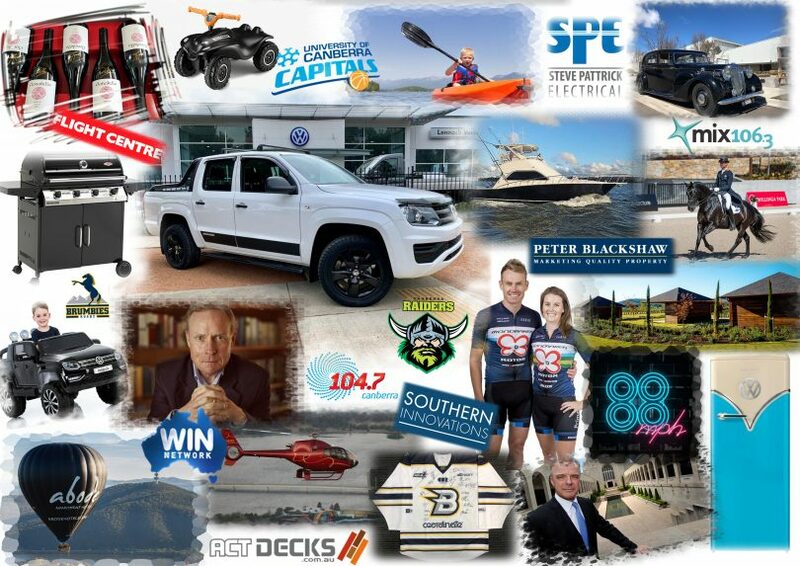 However, the Canberra public can still show their support in a big way by bidding on auction items that have been generously donated by businesses and individuals in the community. “This is our third big night out and it’s set to be our biggest night out yet!” says Martin. “We want it to be an event where people can contribute to a great cause, and have truckloads of fun as well. Martin says that the people and organisations that have donated to the event this year have been incredibly generous, and the team at Menslink are hoping the public will rally to help them raise as much money as possible. “It’s just incredible what is on offer this year. Lennock Volkswagen have once again donated a $50,000 Amarok ute. Former Australian of the Year David Morrison is offering a keynote speech and RiotACT editor Genevieve Jacobs has kindly offered her services as an emcee for the right bidder. Poachers Pantry vineyard and lunch experience for six people. Everything will be auctioned off on ALLBIDS for two weeks before the Big Night Out. For items that are part of the live auction on the night, the highest bidder on ALLBIDS will be allowed to bid over the phone against event attendees. Rob Evans (left), CEO of ALLBIDS, with Martin Fisk (right), CEO of Menslink, at the ALLBIDS showroom in Fyshwick. Rob Evans, CEO of ALLBIDS, says “ALLBIDS are very proud to once again partner with Menslink. Each year we make a big effort to ensure the fundraising goes really well at the Big Night Out, because we can see that the funding goes directly to helping young men and families in our community. “It’s fantastic that so many current and past Raiders players have also gotten involved in a big way. ALLIDS has been sponsoring the Raiders since 2002, and the team have always shown their support for local causes as important as Menslink. Golnar Nekoee, Director at Bradley Allen Love Lawyers and a board member for Menslink, adds that they are delighted to see this year’s event sold out. Neale Guthrie, Chairman of Canberra Community Bank Group, adds that Menslink continues to prove itself as an essential part of the Canberra community, which is why they are proud to continue their support each year. To show your support for Menslink, view and bid on the Menslink auction items on ALLBIDS. For more information about the work Menslink do, please visit Menslink. Looks as though the gender gap applies to levels of fundraising ! This dwarfs any fundraising for women’s causes.